One key advantage of finding a primary care physician is that over time, your doctor gains familiarity with your personal medical history. Visit after visit, your doctor is able to develop a long-term history of you and your family’s health, enabling you to understand and keep an eye out for potential risk factors. Furthermore, primary care physicians are trained in holistic health care, meaning they’re equipped to treat a range of maladies and better coordinate your care. Because of this familiarity and overarching medical knowledge, your primary care doctor is better able to refer you to the right specialist, if, and when, that is necessary. The benefits only multiply if you’re a sufferer of diabetes, arthritis, certain heart conditions or other forms of chronic disease. These conditions are difficult to manage on your own, and your personal physician is there to navigate the disease management process with you. For those concerned with reducing overall health care costs, a primary care provider can help you do just that. According to the Journal of Health Affairs, the availability of regular screenings, which aim to catch warning signs that may lead to full-blown medical conditions, help patients save money in the long run. Identifying illnesses as early as possible, especially when it comes to serious ones like cancer or heart disease, helps put treatment on the fast track. Treating cancer in its early stages, for example, typically costs much less than attempting treatment later on, and this proactive approach leads to better health outcomes, as well. In addition, studies have shown that visiting a primary care doctor can reduce costly visits to the emergency room or urgent care. Ignoring symptoms that will later land you in the ER can put a strain on your wallet. By seeing your doctor regularly, you can avoid this burden on your bank account as well as your overall well-being. 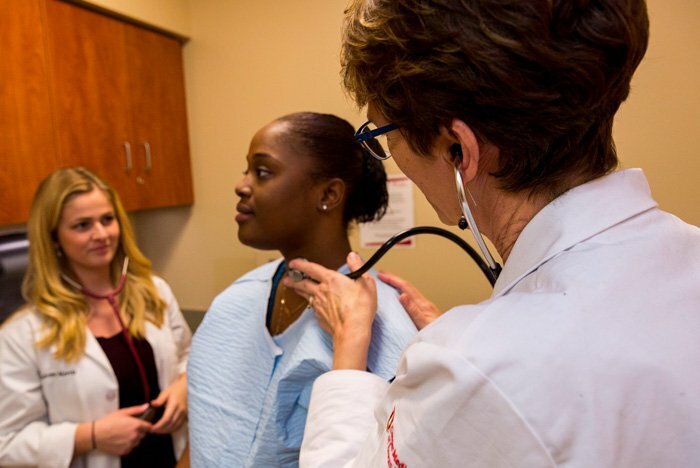 Cooper University Health Care has long been at the forefront of healthcare management. As the leading academic health care system in South Jersey, Cooper employs more than 630 physicians practicing in more than 70 specialties to offer you the highest quality care in the region. Not only does Cooper employ board-certified health experts, they make it easy to find the primary care physician that will best suit your needs. Cooper Health’s advanced “Find a Doctor” search engine allows you to discover the primary care physician or specialist that’s right for you and your family. Included in this long list of expert providers are Cooper’s “top docs” who are regularly recognized by regional and national sources for their commitment to excellent care. Whether you’re on the fence about selecting a physician, or you’re thinking about making a switch, consider Cooper University Health Care for your primary care needs. An investment in your health today makes for a brighter future tomorrow.